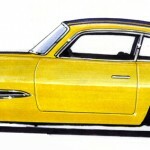 Building a fiberglass sports car early in one’s life usually has long-term implications. 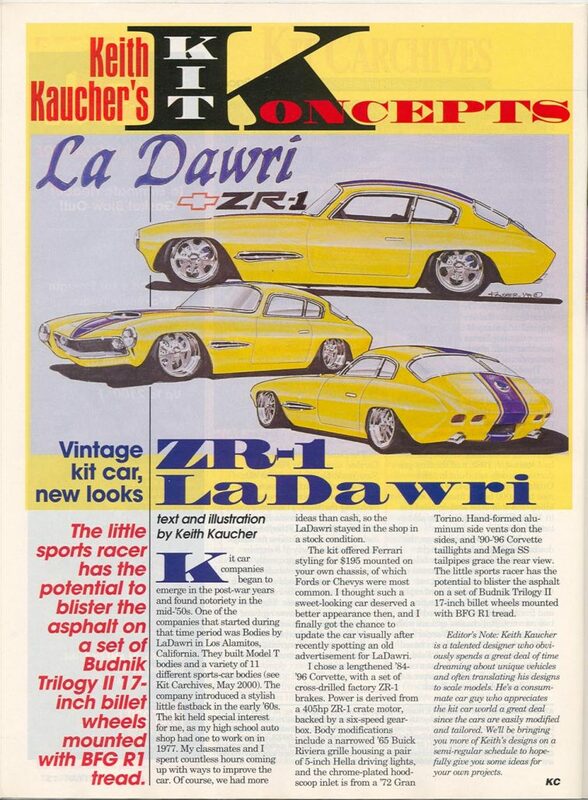 That’s what happened to Keith Kaucher when he first came across a LaDawri Castillian in shop class in the late 1970’s, and ultimately resulted in a beautiful design of his that I’ll share today. Very impressive comments from a major magazine debut. Obviously there are many reasons to be impressed with Keith’s work – and I was not the only one to recognize them. I Love the Look of This Design, and Keith's Take on Making It Modern. What a Ground Pounder This Would Be! “The kit held special interest for me, as my high school auto shop had one to work on in 1977. My classmates and I spent countless hours coming up with ways to improve the car. 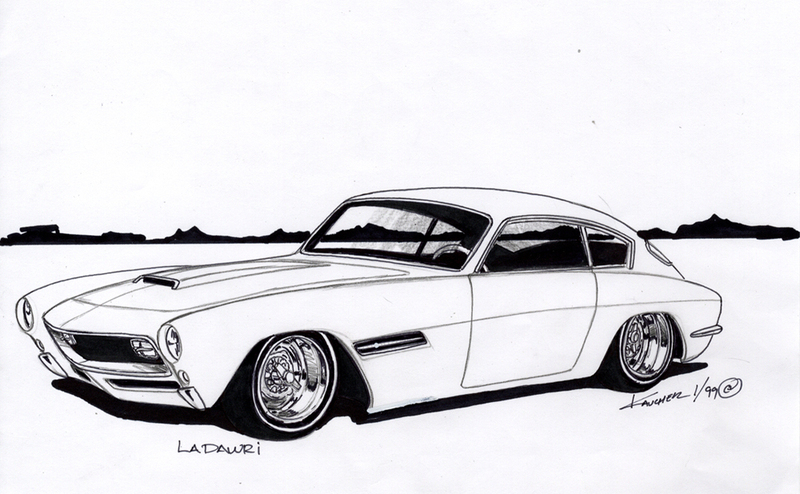 Of course, we had more ideas than cash, so the LaDawri stayed in the shop in stock condition. 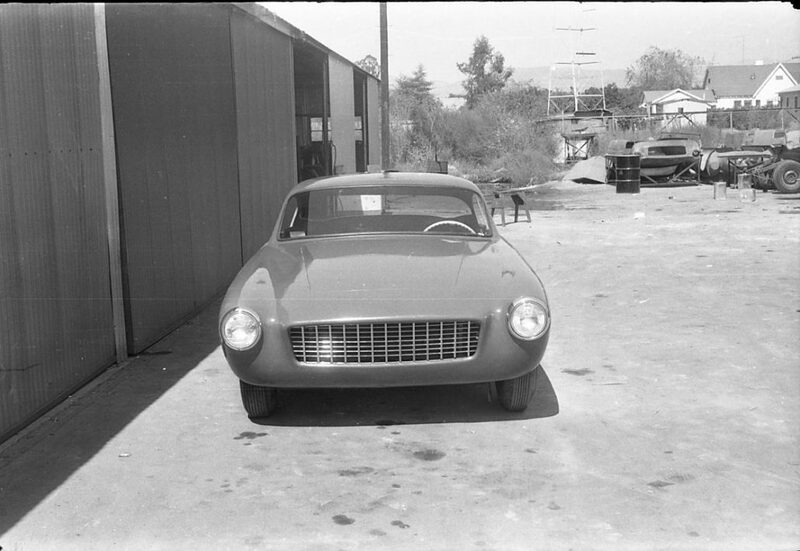 The kit offered Ferrari styling for $195 mounted on your own chassis, of which Fords or Chevy’s were most common. 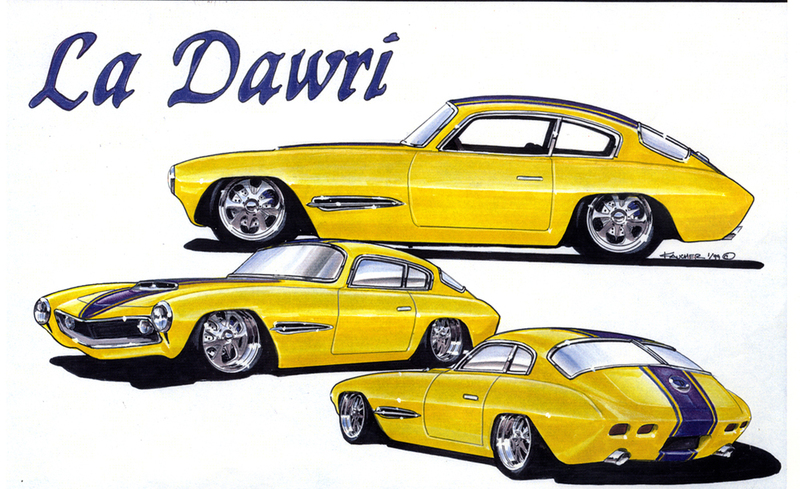 I thought such a sweet-looking car deserved a better appearance then, and I finally got the chance to update the car visually after spotting an old advertisement for LaDawri. 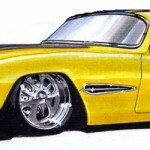 I chose a lengthened ’84-’96 Corvette, with a set of cross-drilled factory ZR-1 brakes. Power is derived from a 405hp ZR-1 crate motor, backed by a six-speed gearbox. Body modifications include a narrowed ’65 Buick Riviera grille housing a pair of 5-inch Hella driving lights, and the chrome-plated hood scoop inlet is from a ’72 Gran Torino. Hand-formed aluminum side vents don the sides, and ’90-’96 Corvette taillights and Mega SS tailpipes grace the rear view. Wow! I want to drive that car! Attention Merrill Powell: Let’s talk to Keith and get one of your Victress C3 projects updated to these specs. I’m sure we can press Rodney Packwood into helping – word on the street is he’s looking for a car to put in his soon to be built garage. I feel a plan in the making…. 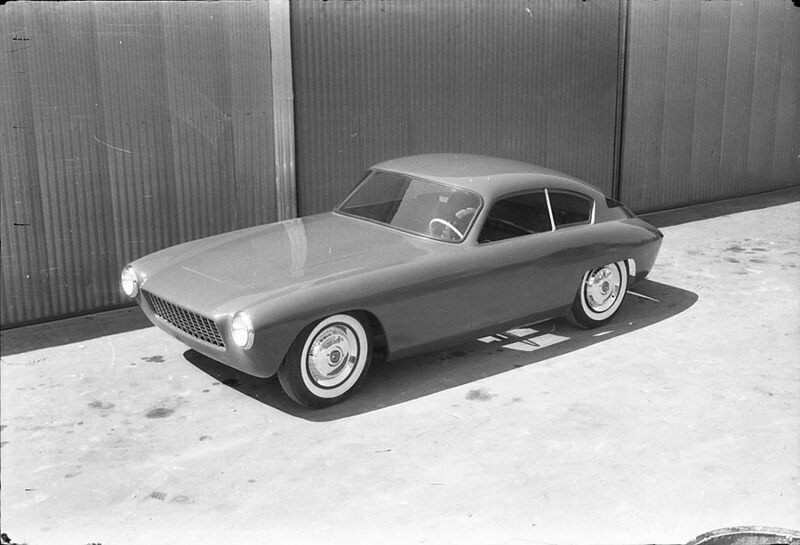 Here's Another Version of the Victress C3 That Keith Created - This One's Not Been Published Before and Is Debuting Here at Forgotten Fiberglass. Thanks Much to Keith For Sharing This With Us. 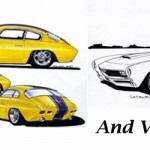 How did the Victress C3 design come to be? Merrill Powell joined Victress as a co-owner in late 1953 / early 1954. 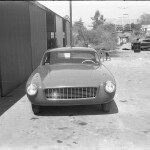 Doc Boyce-Smith had just released the second Victress model to the public – the Victress S4, and one of Merrill’s first tasks was to put a new design together for a coupe. 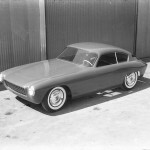 One fiberglass coupe had already emerged on the sports car scene – the Atlas / Allied coupe created by Bill Burke, Mickey Thompson, and Roy Kinch – which was a clone of the 1946 Cisitalia 202 Coupe. 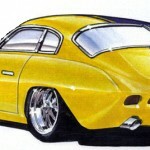 But Merrill’s design would yield a special coupe for Victress- one that would ultimately be recognized as the first fiberglass coupe of an original design made in the United States. 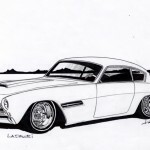 The next one wouldn’t appear until the late 1950’s with the design and build of the Kellison Coupe and the LeMans Coupe by Strother MacMinn. Rick D’Louhy and I continue research in this area. 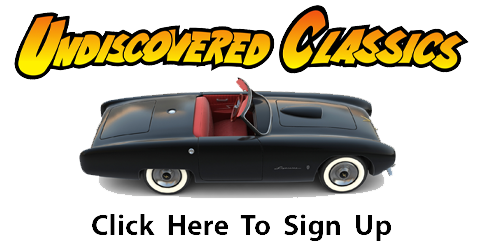 The smaller (94 inch wheelbase) version of Merrill’s design, the C2, debuted in early 1955, and the larger version (100 wheelbase) came out about 6 months later. The use of the newly minted 1955 Chevrolet front grille helps date the introduction of the coupes. A cut down version of this grille was used in the C2 but the stock grille size was used in the larger C3. Merrill recalls building about 25 Victress C3s and fewer than half of that for the smaller C2 before they sold their company to Les and Joan Dawes owners of LaDawri in 1961. The Dawes renamed the C2 the Sicilian, and the larger C3 the Castaliian. 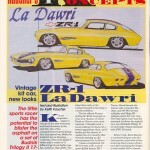 Sales for the Castalian / C3 took off and from reviewing the LaDawri production books, we can see that another 120 or so Castalian / C3 bodies were produced from 1961 to 1965. A significant increase (five-fold increase) over approximately the same number of years. We know that this was a favorite car of Les Dawes who drove a Castalian in the 1960’s, and this no doubt helped promote sales. But I have a different idea. I think Merrill’s design was timeless and as Les Dawes promoted it – others came to recognize its beauty. That’s why sales took off. The car builders of the 1960’s wanted a beautiful American sports car with Italian lines, and Merrill Powell’s design delivered. Way to go Merrill! 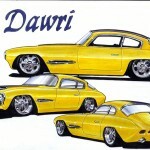 Where are LaDawri Castalians and Victress C3 Cars Today? Restored Castalians / C3s are hard to find. 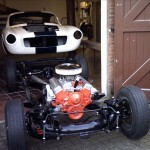 Here's a Picture of Pieter Kanitz' Victress C3 With Restored Chassis and Body. I'm Looking Forward to Watching the First Video of This Car on the Prowl. Believe me…Merrill and I have been looking. Part of this has to do with the amount of extra effort it takes to build and restore a closed coupe. Headliners, roll-up windows, 4-seat/larger interior – all of these details make a restoration a challenge for the best of us. Here’s Another Version of the Victress C3 That Keith Created – This One’s Not Been Published Before and Is Debuting Here at Forgotten Fiberglass. Thanks Much to Keith For Sharing This With All Of Us. I Love the Look of This Design, and Keith’s Take on Making It Modern. What a Ground Pounder This Would Be! 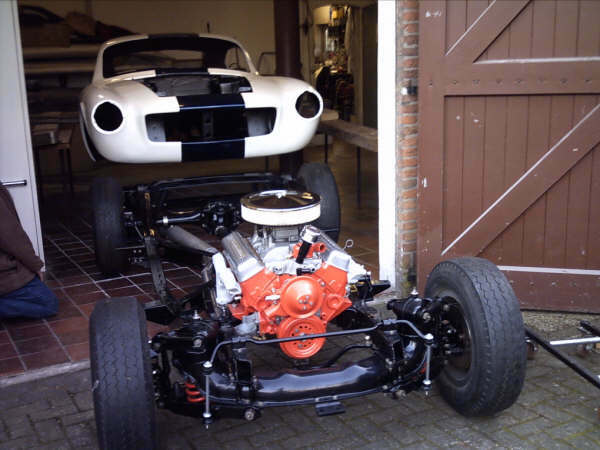 Here’s a Picture of Pieter Kanitz’ Victress C3 With Restored Chassis and Body. I’m Looking Forward to Watching the First Video of This Car on the Prowl.